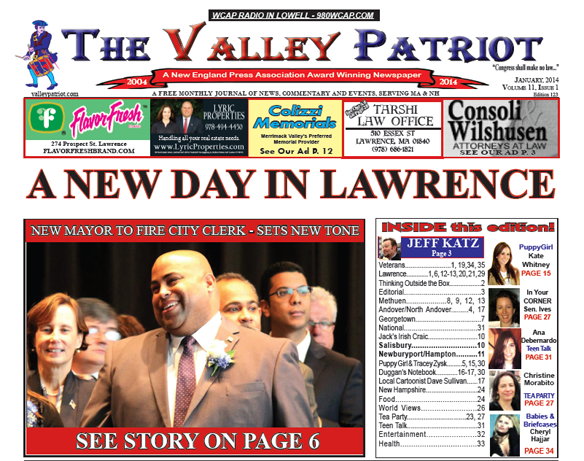 Lawrence’s new Mayor, Dan Rivera, wasted no time making personnel changes in Lawrence City Hall, firing the City Comptroller David Camasso on his first day, and telling the Valley Patriot in an exclusive interview that he also plans to fire City Clerk William Maloney. 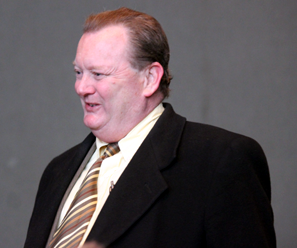 Maloney’s firing must be approved by the Lawrence City Council by a 2/3 vote. “I have found that Billy Maloney is not doing the job of City Clerk at the level we need a city clerk to perform in a city like Lawrence,” Rivera told the Valley Patriot. Rivera said that he had other reasons and will release the official reason when Maloney’s name is sent down to the City Council. City Clerk Maloney is in charge of the Election Department in Lawrence which has come under scrutiny and is under investigation by law enforcement for election fraud, and signatures forged on nomination papers by election workers among other misdeeds. Rivera has long held that Maloney was doing Lantigua’s bidding at the council table. Maloney also sits as chairman of the city’s Board of Registrars, which is responsible for ruling on challenged ballots and overseeing election recounts. During recount in Rivera vs. Lantigua, Maloney voted as Chairman of the Board to approve two ballots to be counted for Lantigua even though the ballots were from the primary election. 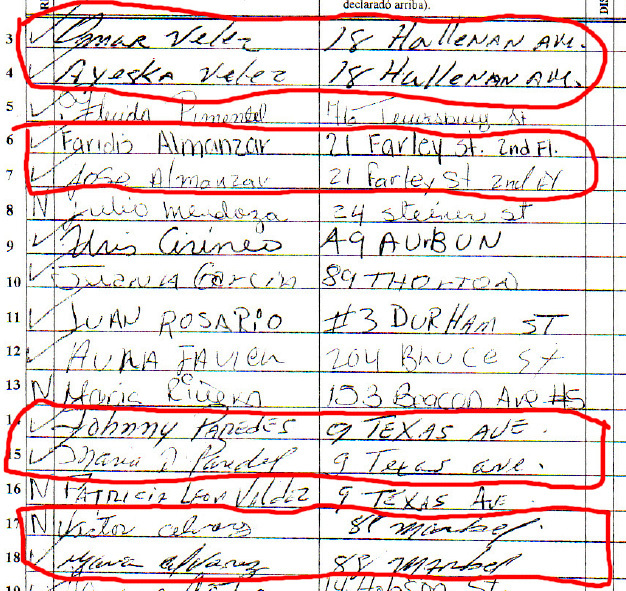 Maloney did not investigate how the primary ballots found their way into final election ballots boxes for Lantigua. The Board of Registrars has been cited for multiple violations of state law including; not keeping minutes of their meetings and violating the open meeting law, holding meetings and taking votes without notifying the public. The board also took more than a year to investigate the city’s bilingual coordinator forging names on State Representative Frank Moran’s nomination papers, ignoring media reports and written complaints about the forgeries. Maloney also was in charge when 400 absentee ballot envelopes went missing from the September mayoral primary. Sate Law dictates that all records must be maintained, but Maloney refused to comment on the missing envelopes or his legal obligation to keep them safe. Less than twenty four hours after taking office as the new Mayor of Lawrence, Rivera fired Lawrence’s City Comptroller David Camasso. 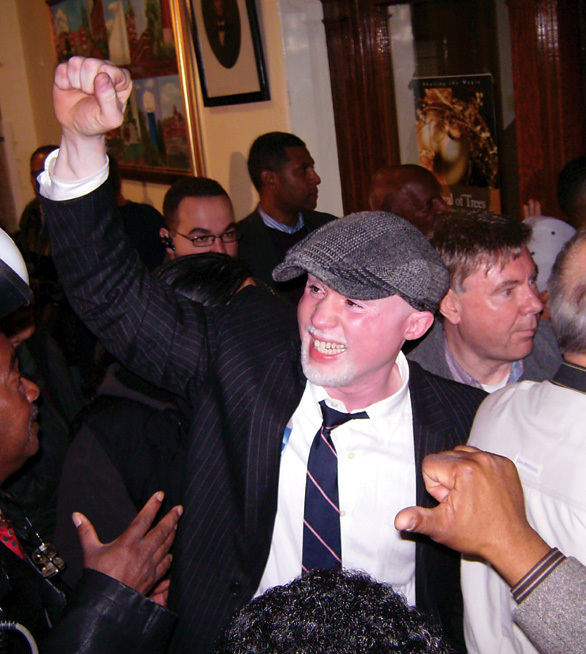 Camasso was appointed by Mayor Sullivan in 2005 and was involved in one of Lantigua’s first controversies by refusing to pay former Planning Director Michael Sweeney and others what they were owed by the city after Lantigua illegally fired them. Camasso sits as Chairman of the City’s Retirement Board, which is currently $204M in the red and is the third most underfunded pension system in the state. No reason was given for Camasso’s termination, but Rivera did say that several times during the election that those city employees who went along with the misdeeds of the Lantigua administration needed to be removed. Mayor Rivera hired five people who will start to build his Administration. 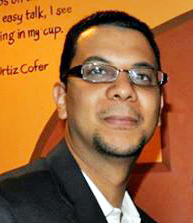 Rivera hired Greater Lawrence Technical School Committee member, Abel Vargas as Business Development Director for the city. Vargas was instrumental in Rivera’s mayoral campaign and was involved with monitoring the recount that lead to Rivera winning by 82 votes over Willie Lantigua. “It is critical that we attract businesses and jobs to Lawrence that can help put people to work,” the mayor said. In a press release Mayor Rivera laid out Abel Vargas’ qualifications. “As a candidate for a Masters in Business Administration at Southern New Hampshire University, and with a professional background in Business and Marketing Analysis, Vargas brings experience that will enable him to facilitate growth of jobs and industry in the city. Vargas’ city position is a modification of the Economic Development Director, and will be part of a larger restructuring of overall development and planning efforts that the Mayor plans to tackle in the coming months. 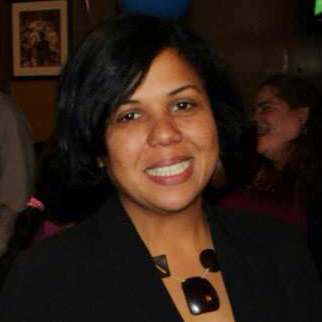 Wendy Luzon was hired as a Lawrence’s Neighborhood Planner She will serve as a liaison between Mayor Rivera and the various neighborhood organizations throughout the city. Rivera said that all of the positions are “budget-neutral” meaning that there is no additional expense to the city above what has already been budgeted for. Then, Lawrence Police Sergeant Melix Bonilla the night Willie Lantigua was elected mahor in 2009. Bonilla ran Lantigua’s mayoral campaign and was immediately rewarded by being promoted over Lieutenants and captains to be named Lawrence’s Deputy Police Chief. Also on his first day in office, Rivera also demoted Deputy Chief Melix Bonilla back to the rank of Sergeant, his rank before Lantigua took office. The new mayor also made good on his promise to stop paying indicted police officers and city employees, putting Bonilla on unpaid leave of absence till the resolution of his trial. The money Bonilla would be making will be held in an escrow account and paid to Bonilla if he is found not guilty and returns to work. 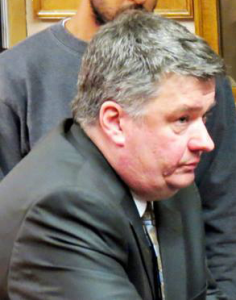 Bonilla has been charged with embezzlement and extortion. Rivera also said he will be demoting some superior officers promoted by Lantigua to swell the ranks of patrolmen saying he plans on putting ten more patrolmen on the streets. A source close to Rivera said that he has already taken steps to demote Captain Scott McNamara back to Sergeant. 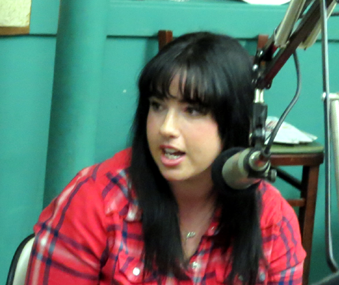 McNamara is president of the Superior Officers Union. McNamara was initially anti-Lantigua and helped organize the recall petition against Lantigua last year. But after the recall failed, McNamara endorsed Lantigua. Rivera fired Justo Garcia who was on paid leave after being indicted for stealing money from the city’s parking garages and depositing the money into then Mayor William Lantigua’s campaign account. Garcia is awaiting trial. Mayor Rivera fired Richard Berke who managed the city’s real estate, and was a former aid to Lantigua when he was a State Representative. 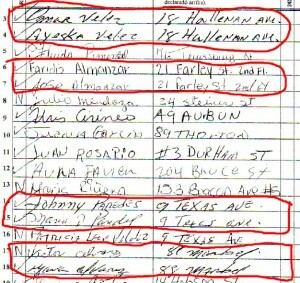 Several Lantigua hires that Rivera says he expects to terminate are: Lorenza Ortega, reported to be Lantigua’s current wife and is a confidential secretary in the city’s Personnel Department; Andrys Castillo, who is the city’s recycling coordinator, and Gilda Duran who worked in the city’s Planning Department. Former Lawrence City Council President Patrick Blanchette who was Lantigua’s confidant and Economic Development Director left his post prior to Rivera taking office. Rivera stopped short of saying he would terminate City Attorney Charlie Boddy, but did say that he was going to have the City Attorney’s Office fully staffed to handle lawsuits against the city and collective bargaining negotiations. Instead of spending all this money on outside law firms to represent the city, I think we need to stop that and bring on enough attorneys to handle those issues in-house. I don’t mind paying an outside firm for something special like certain collective bargaining issues, but we need to cut back on that,” Rivera said. 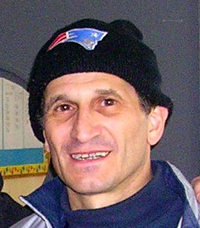 Rivera did not say whether he would retain the Law Firm of DiAdamo and DiAdamo which handles the city’s worker’s compensation claims and was initially fired by Lawrence Mayor Mike Sullivan after losing the Andrea Traficanti case, but was rehired by Lantigua shortly after taking office. “Right now I am trying not to bite off more than I can chew,” Rivera told The Valley Patriot. Rivera concluded by saying that he is giving up Mayor Lantigua’s parking space next to city hall and will be letting his employees of the month use that spot.